How to convert home DVD episodes into separate files? It often happens so that you are interested just in several scenes, episodes or fragments that your home DVD contains. 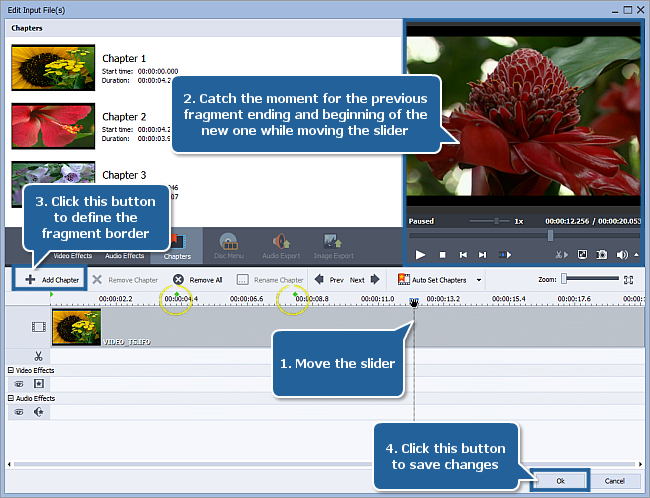 You can easily save a desired part into the separate file of a specified format using AVS Video Converter. The guide will help you to readily do that without wasting time in finding out all the details by yourself. 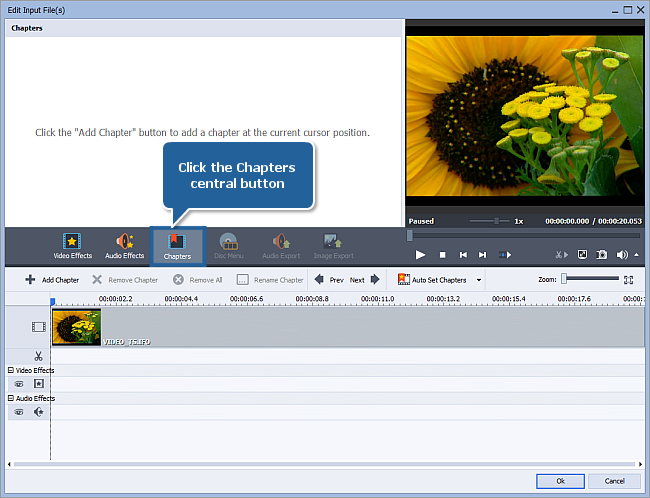 Note: don't assign DVD or Blu-Ray as your output format because they don't allow to split a video. Check the Split control and switch the radio button to the Split by Chapters value then click the Convert Now! button to start creation of separate episode files. Note: if you selected FLV as the output format, make sure the Create Flash player and HTML page for web sharing box is unchecked on the Flash Player tab, otherwise the Split option will be disabled. Wait until the process is completed, the fragment files can be found in the destination folder. Note: each fragment will be saved as a filename_N.formatextension file where filename is the output name you assigned; N - the number of a fragment; formatextension - the extenison of the chosen output format.